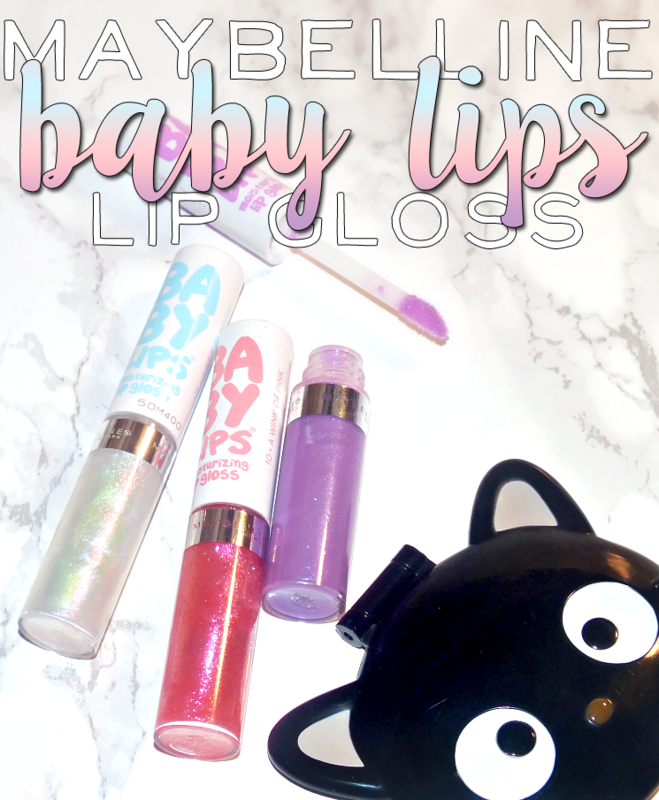 I have to admit that I never really got the whole Maybelline Baby Lips craze. I appreciate a bit of balm, but what is it that made them so amazing? Mystery of the universe, I guess. Due to that, I wasn't crazy excited about the new Maybelline Baby Lips Moisturizing Lip Gloss. Intrigued, sure. 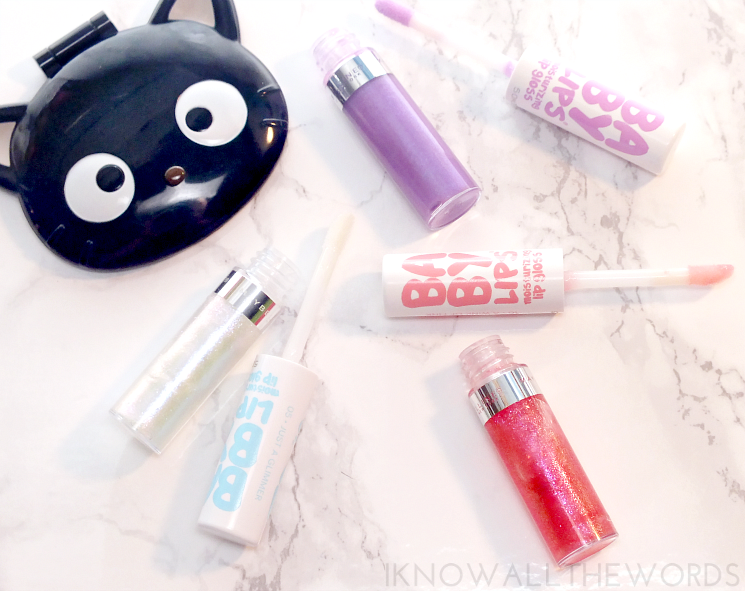 The idea of a tinted, hydrating balm/gloss hybrid is kind of amazing. So, did Maybelline create the next best thing you makeup bag? So, that was those were the pros, onto the cons... These are very sheer. The three shades I tried from the range all come from 'The Shimmers' category but there are also 'The Creamies' (I hate that word... So much) and 'The Jellies', and as such have varying levels of shimmer and glitter. While there are definite shade differences in the tube, there isn't a whole lot of pigment when you apply these. The main differences I found were the amount/type of glitter. Just a Glimmer and Wink of Pink have the most glitter (although it was totally camera shy) and had very prominent glitter. Lilac Lumi has finer, more subtle glitter (that seems to love the camera, go figure.) Anyhow, you're not getting much tint with these. Other than that, I'm not the biggest fan of the scent. It's not a deal breaker, but the artificial grapefruit type scent could be improved if you ask me. What? you weren't? Overall, these get an okay rating from me. I like the lightweight, balmy texture, and that they do provide light hydration. I like a bit more tint though. That said, I would pick up one of the cream or jelly shades if I happened to see them on sale. 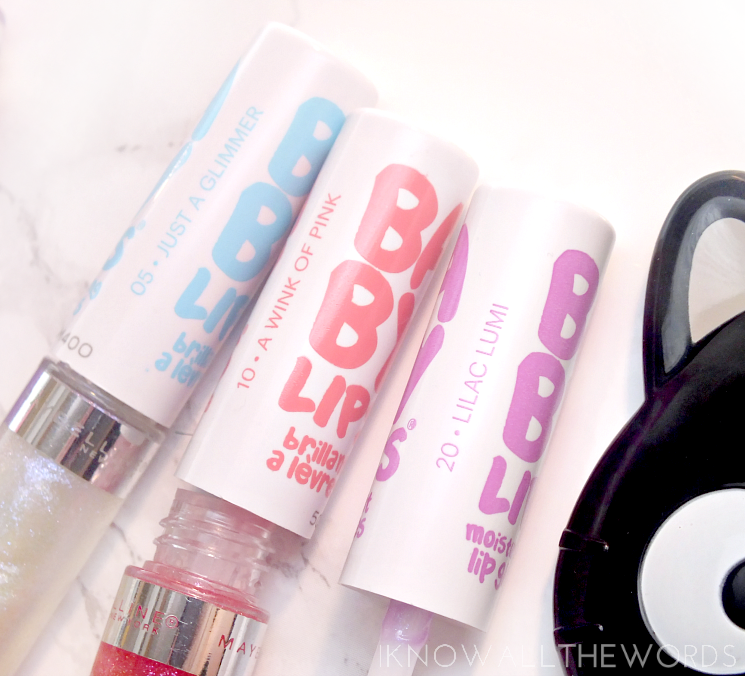 Are you a Baby Lips fan? Tried these? Thoughts?